So, you’re interested in popup or moveable books. How about a little history (very little) to set the stage. 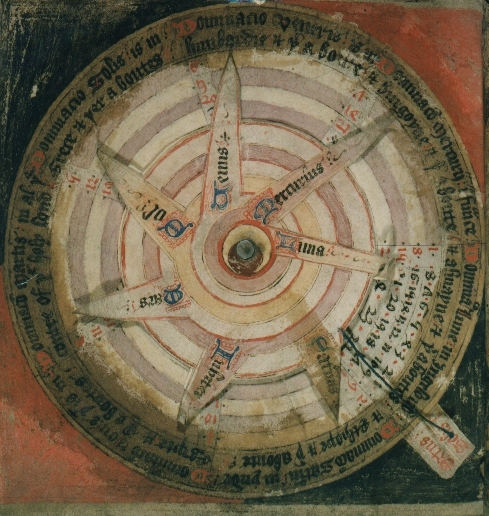 It is not know who created the first ‘mechanical book’ however in the 13th century poet Ramon Lull of Majorca used a revolving disc known as a volvelle to illustrate his theories.1 The primary use was for intellectual works not children. It was not until the 19th century moveable books became associated with children. The premier publisher for mechanical books was publishing firm know as Dean & Son in London in the 1800s. These books required the reader pull or push tabs to allow the action to occur. Ernest Nister another publisher in the late 19th century produced books that would move automatically. These figures were die-cut and mounted in a way to give a three dimensional feel to the book. The most well noted designer of mechanical books at the time was Lothar Meggendorfer. He was known for his wit, art and mechanical design. During WWI and the Depression few moveable books were sold. In order to encourage book buying in the public in 1930 Blue Ribbon Publishing of New York hit upon the idea to animate Walt Disney characters. Not only was it a success it was also the first time the phrase pop-up was used in reference to moveable books. Beginning in the 1940s through the 1960s publishers such as Artia in Prague, and Graphics International in Los Angeles began developing what we now call pop-up books. Over time popup books have become incredibly sophisticated. Some of the best examples of inspiring paper engineering is by artist Robert Sabuda. He transformed the book from a mere popup to an animated book. In his book the Wizard of OZ the opening spread has a twisting tornado and the field of poppies open up as you open the page. Well that’s all fine and good but what you really want to do is make a popup on your own. Where do you start? Let me suggest you start by looking at the books of exceptional paper engineers such as Robert Sabuda (Wizard of OZ, Alice in Wonderland, Winter in White, The moveable Mother Goose) , Matthew Reinhart (Star Wars, Gods and Heroes, Game of Thrones), David A. Carter (One Red Dot, Blue 2 and his Bug series) and Sean Sheehy (Welcome to the Neighborhood). Their books are incredibly inspiring if not a little intimidating. Take the time to see how the pieces fit together, the types of mechanisms that are used, where the connections are made. If you have the strength of will (which I do not), pull the book apart and see where the slots and tabs are placed to ensure the mechanisms remain working for the life of the book. Next go to the bookstore, and purchase David A. Carter’s The Elements of Pop-Up: A Pop-Up Book for Aspiring Paper Engineers (1999). It is by far the best ‘how to’ for making and understanding the mechanisms that go into the devices in popup books. This book has an example of each type of mechanism and gives you the ratio of the angles/dimensions so you can scale your piece to the size you want your item to be. The other books that you could consider purchasing is ‘The Pocket Paper Engineer’ series by Carol Barton. The series is a very good step by step guide of the various mechanisms with examples you can cut out and put together yourself. If you just love popups then consider joining the Moveable Book Society and attending one of their biannual conferences. That’s on my to do list. I think it is interesting that the modern-day pop up book is a relatively new invention. I would have never thought that a movable book society would exist! I found this artist, Ji Qie, who was on the conference agenda for this year. There are some light-up pop-ups at technolojie.com/454/. Thanks for the information, Shelly. I am always curious as to where things got their beginnings. It is so interesting to discover that "mechanical" books were originally meant for adults. I wonder what intellectual information they held and what benefit they had being mechanical rather than a flat, motionless page. In addition, it is humorous that a tool that originated for knowledge for adults has now become entertainment (and hopefully knowledge) for children, or at least stereotyped as such. Great research!